This is me going to the Childminders group. 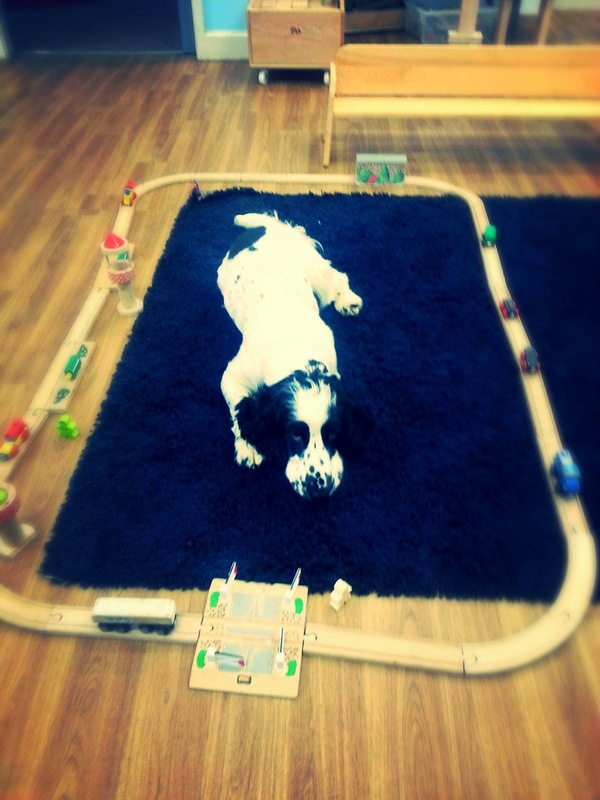 I especially like playing with the train track although the humans didn't think I should try and bury the trains...Grrr...Spoilsports! I like going out in the family services garden though. That's because I can see the chickens at the DGE! Not as fun to chase as pigeons though. I'm trying to dig under the fence so I can play with them, but shhh! Don't tell the human grown ups! Woof! Jake says hello to his new friend!